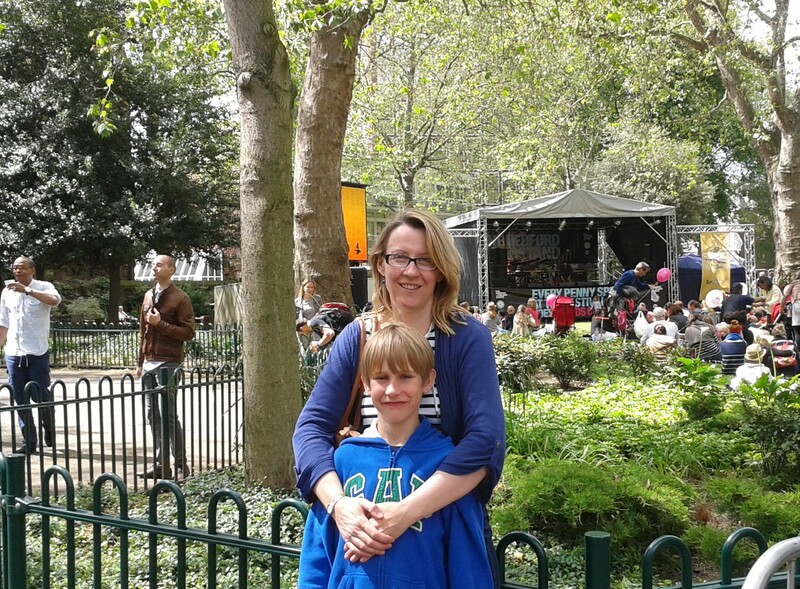 It says something about this year’s so-called ‘summer’ in the UK that an afternoon out in my home city without getting soaked merits a blog post, but this, in pictures and words, is the tale of a lovely outing yesterday with my husband and 10 year old son. The London district of Marylebone is one of the main settings in the new novel I’m working on, which gives me a perfect excuse to keep spending time there doing research, you know, the kind that involves sitting on cafe terraces watching beautiful people go by, browsing in shops where I can’t afford to buy anything, and nosing around wondering about the gilded lives (I’m sure they’re not really) of the residents here and how they came to be so lucky. A 3 bedroom mansion flat costs approximately twice what my house in north London would fetch. I love dodgy, run-down areas but it doesn’t stop me liking the other kind. Marylebone has a fascinating history, which I’ll save for a post in the On Location series when I have time to do it justice. 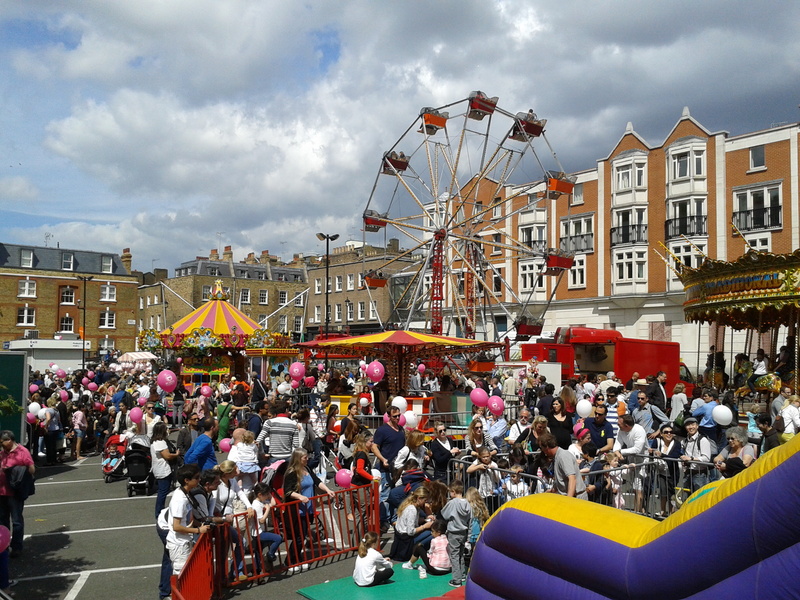 It must seem like a miracle to the organisers of the Marylebone Summer Fayre that the weather behaved yesterday – the high winds of the day before would have swept the whole thing into Regent’s Park. Despite having grown up in this country, the British weather drives me mad and yet, I love seeing the transformation when the sun comes out, people relaxing, the instant holiday atmosphere. We appreciate it, we relish that lightening of mood and the carpe diem feeling that comes from not knowing if it will last hours, days or, if we’re lucky, weeks. I know several people who’ve returned from living in Dubai or California, complaining that it was monotonous knowing every day would be perfect. I’m a regular visitor to the South of France for precisely that reason; I think I would cope! Yesterday’s event was fabulous, like a posh version of a typical English village fete gone a bit cosmopolitan: live music (we heard the talented 19 year old singer Ciara Aaron, who sounds like a cross between Norah Jones and Dido), people sprawling around on the grass in Paddington Street Gardens, eating al fresco in the middle of Marylebone High Street, which was closed to traffic, salsa dancing in the street, free sweets and ice cream, street food from paella to curry to every kind of right-on organic, washed down by copious quantities of Pimm’s and rosé – in short, people from all over (I always lose track of how many languages I’ve heard) just having a good time. Thursday is mid-summer day, the longest day of the year, an appropriate release date for Karen Thompson Walker’s debut The Age of Miracles, and also my review. Thanks Erin! Hope you get to see it some day (if you haven’t already). Ah, brings back memories of last weekend! 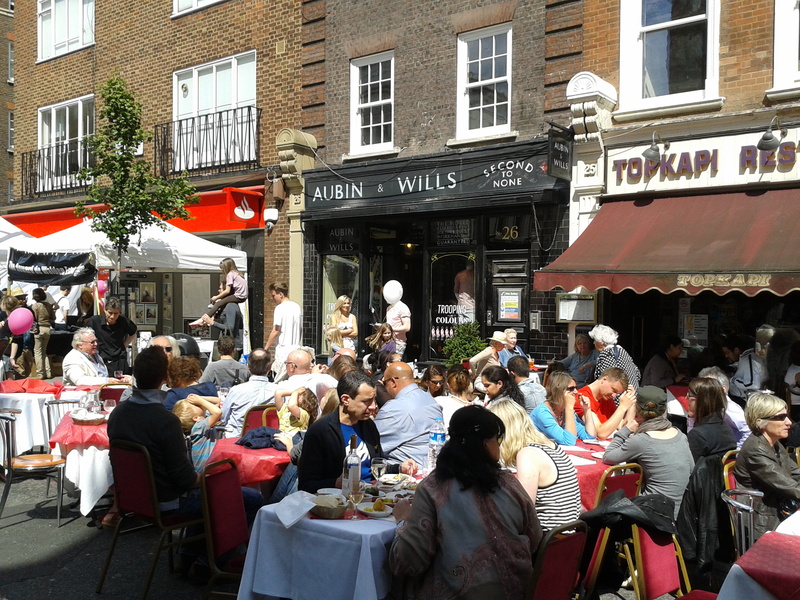 LOVE that part of London, and the festival looked just wonderful. I want to come back! I know your new book is going to be that much more vivid because you have this place, and you can visit whenever you need a boost of inspiration. I’m hoping to find that as well for my next book, which is starting to percolate in the back of my mind. Kristin I have lovely memories of us eating lunch outside Le Pain Quotidien and me accompanying you on your blowout shopping trip (only kidding!) Thanks so much for your interest and belief in my new novel, I am really excited about it! 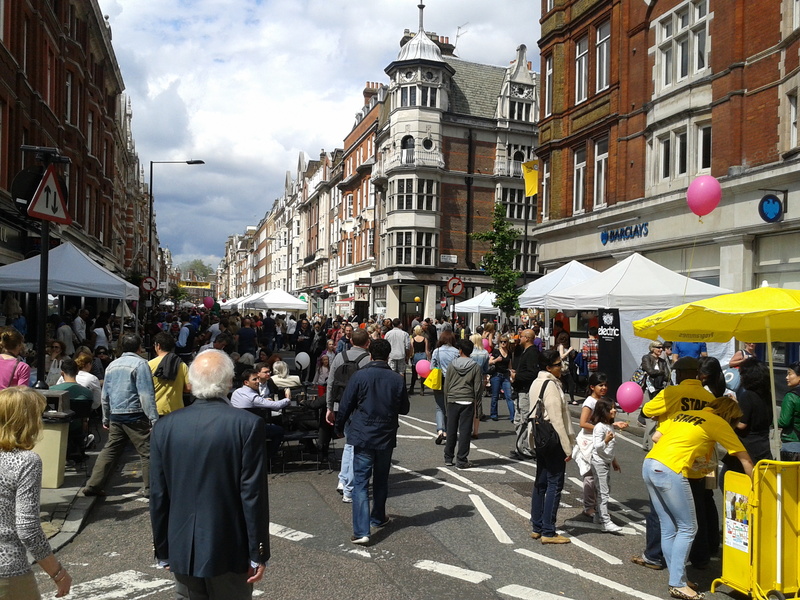 The area of Marylebone is as you say fantastic! 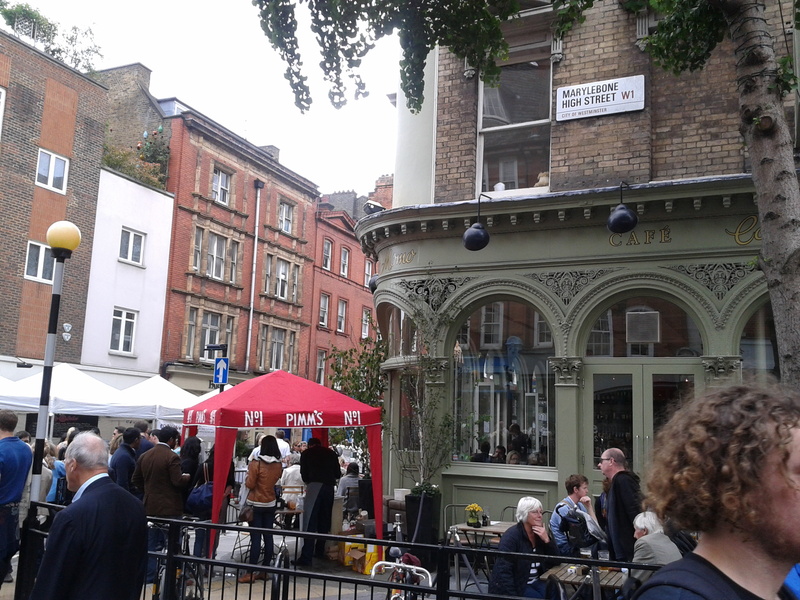 I lived in the area for 3 years, in a flat just off Marylebone High Street. I was at 55 Weymouth Street. I have to say it was the best 3 years I spent in London. Just so you know, you can find a bargain every now and then, and that is exactly what we found! We rented out a 3 bedroom flat and it cost us the same amount as we were paying for a big 2 bedrooms flat in Crouch End! We were definitely not “part” of the wealthy community who lived in the area, although after a small time, we did walk around with an air of aristocratic arrogance ourselves! 🙂 You couldn’t help it!! Hi Mikkos, really nice to hear that you enjoyed a virtual return to somewhere you like so much! Lucky you, living in Marylebone for 3 years. If I ever hit the big time (highly unlikely, it has to be said), a flat there would definitely be part of the plan. Thanks Matt, loved your clip. You really captured the atmosphere! And the prettiest railway station! Lucky, lucky you! 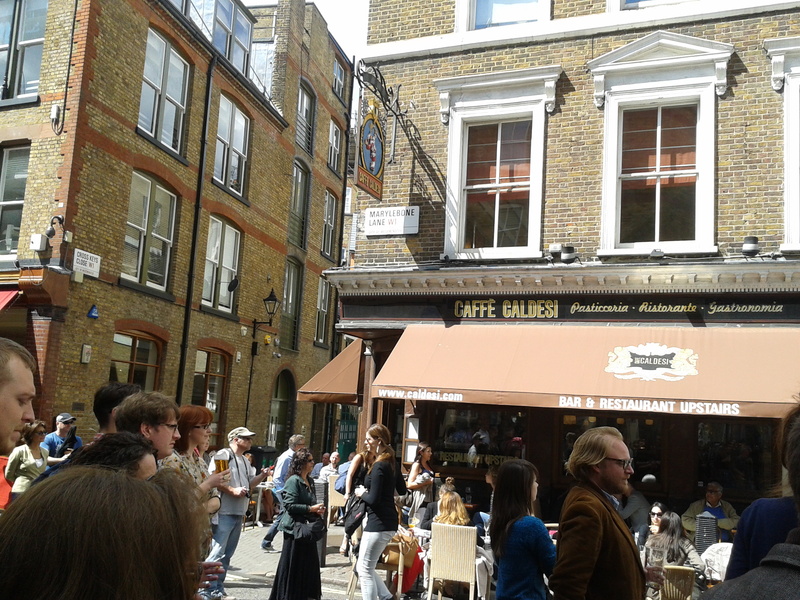 I’m looking forward to getting back to my second manuscript and spending more time in Marylebone. Still haven’t been inside a huge house like the one in my book!